Last year marked the 30th Anniversary of the enduring classic Back to the Future, with a number of companies capitalizing on the even. A number of products inspired by its sequel Back to the Future Part 2 where introduced to the marketplace. Nike unveiled plans for self-lacing sneakers, while Pepsi Cola sold Pepsi Perfect and Lexus even showed-off a working hoverboard. 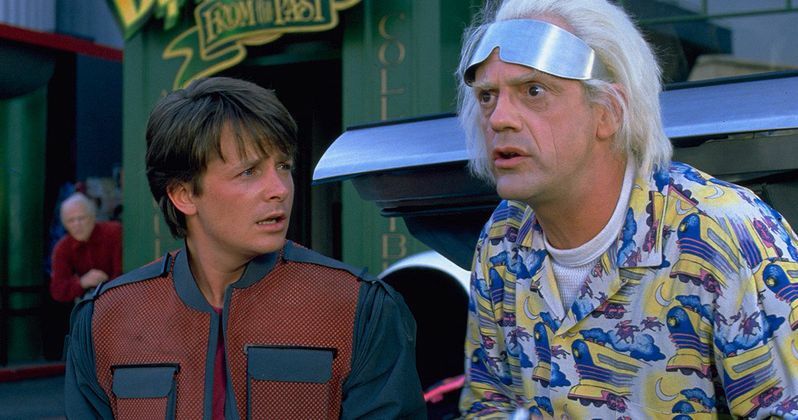 Today, we have word that another product from Back to the Future Part 2 has become a reality, with a University of Central Florida scientist developing solar-powered clothing. "That movie was the motivation. If you can develop self-charging clothes or textiles, you can realize those cinematic fantasies -- that's the cool thing." Nike's self-lacing sneakers seen in Back to the Future Part 2 provided Jayan Thomas the inspiration for his creation. He revealed in his study that nanotech-powered clothing will provide much-needed assistance to soldiers and military personnel who have to carry bulky batteries. These clothes will also be "highly convenient" for anyone who carries a multitude of personal electronic devices, and he can also see it being applied to electronic cars. These filaments can be used to charge your electronic devices like cell phones. The filaments are made from copper ribbons that featured "energy-storing layers on one side and solar cells on the other." The copper ribbons were then woven into a square of yarn as proof of concept, and can be implemented into jackets and other articles of clothing, which can be used to power a multitude of electronic devices. This work was actually built upon another development he was working on. Jayan Thomas received an R&D 100 award earlier this year, a prestigious award handed out to top inventors, for the development of a cable that can not only transmit energy, but store it like a battery. He decided to combine the solar cells he was already developing with an energy-storing device to come up with this filament, inspired by Back to the Future Part II. The sequel, which starred Michael J. Fox as Marty McFly, also featured self-drying clothing that adjusted in size, but that hasn't become a reality quite yet.